The end of no spend July yay!! 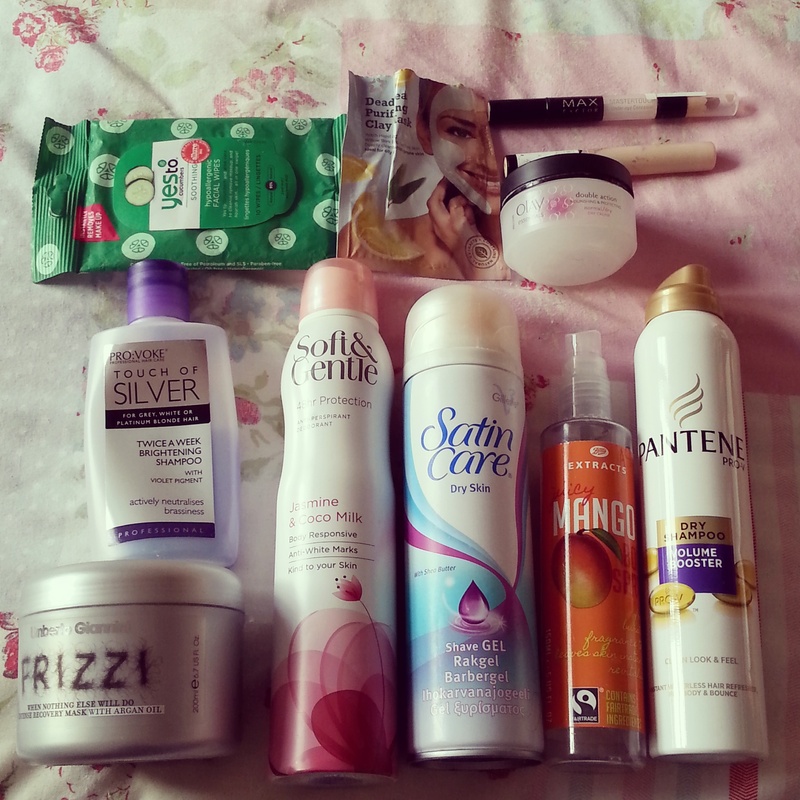 Standard end of month empties post here for you all! Yes To Cucumber Facial Wipes- These were a sample I received in a recent Birch Box. In all honestly I’m not too keen, the smell of cucumber is far too strong. I won’t be buying these at full size. Provoke Touch Of Silver Shampoo – I’ve repurchased this so many times! I love it, it’s a really good way to stop blonde going brassy and yellow. This is really cheap too, around £2.50 – £3, where as other purple shampoos seem to retail around the £5 mark. Highly recommend if you are blonde! Umberto Giannini Frizzi Hair Mask – I really love this brand, the products always smell amazing, and do wonders for my hair! This was perfect for putting on once a week and always left my hair in good condition afterwards. Superdrug Dead Sea Purifying Clay Mask – This burnt when I put it on so I had to wash it off straight away. Does anybody else find this with the superdrug masks or is it just me? It’s really hit and miss which ones I can use. Gillette Satin Care Shaving Gel – Again, just bought because it was on offer. It was ok, but then theres nothing really special about shaving gels is there? Collection Lasting Perfection Concealer in Fair- One of my favourite high street concealers, its really affordable and offers really good coverage. I’ll be buying this again. Boots Extracts Mango Body Spray – This has got to be the nicest smelling body spray ever, I love it! For £5 I’ll be buying it again. It smells so lovely and fruity and the smell doe linger all day. Pantene Volume Booster Dry Shampoo – This is actually half full but the lid has broken meaning it wont actually spray. I prefer other dry shampoo’s so I won’t be buying again.